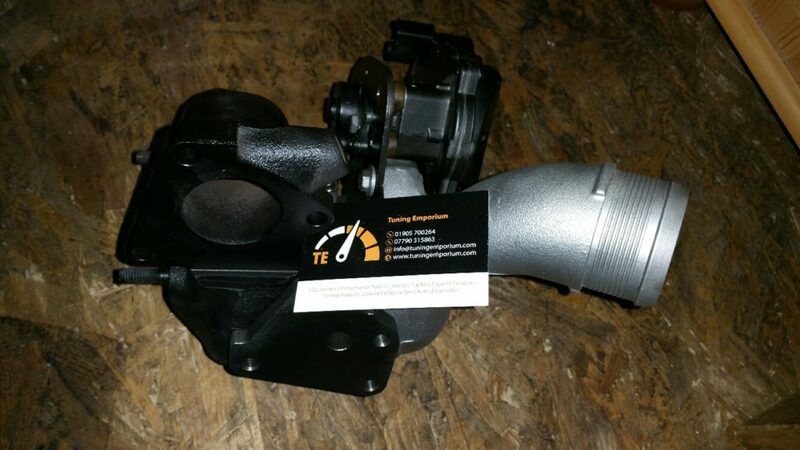 A Turbocharger is a type of Supercharger powered by the exhaust gasses to greatly increase an engine’s power and performance by increasing pressure at the air intake. Standard Turbo’s have two main parts, a turbine and a compressor. Exhaust gasses under pressure from the engine are forced through the turbine to spin the compressor (effectively a reverse turbine) at incredibly high speeds (up to 250,000 rpm) which forces air into the intake at greatly increased pressure. More air means more oxygen for combustion and a significant increase in engine power output. VNT Turbo’s control exhaust flow through the turbine wheel by means of a row of vanes that move to match the exact boost requirements of the engine. At low engine speed, the variable nozzle turbine vanes close to restrict the exhaust air flow through the turbine, thereby increasing turbine power and boost pressure. At high engine speeds, the moveable vanes open to maximize the exhaust gas flow, thereby avoiding turbo over-speed and maintaining the boost pressure required by the engine. The potential for power gain from ECU remapping is massive. Increases of up to 30% – 50% are not uncommon, especially after addition of after-market performance enhancing products. Some engines can support even larger power gains. So when we build a ‘hybrid turbo’ we take the best components available to make the end result, We don’t just stick a bigger compressor wheel in hoping it will work. Machining work takes place to increase the flow (and therefore more power). To increase the power / torque of your turbocharged vehicle, over and above a remap, you need to up the output potential of your turbocharger. You could look to fit a larger turbo from another vehicle, but this isn’t ideal. Increased lag is usually a problem and getting it to fit could be time consuming and expensive. For big power we know ball bearing turbos are fantastic, and we do sell plenty of them! The ball bearing design is extremely resilient to high boost and the minimal drag/resistance within the bearing assembly means that a relatively large turbo can be used without the expected increase in lag. 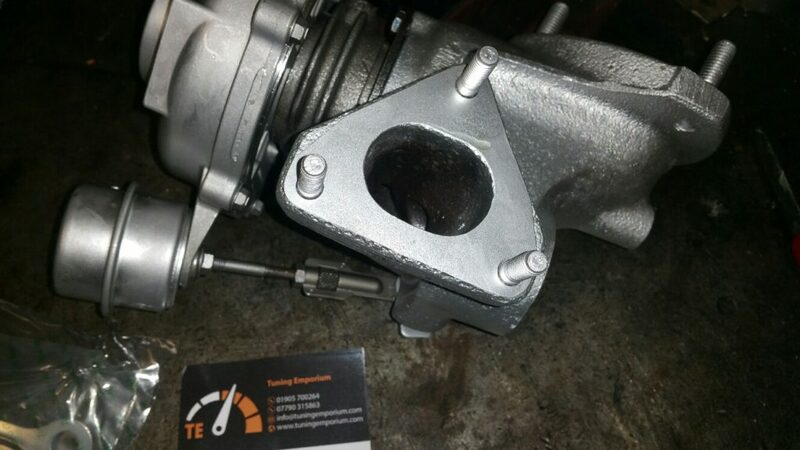 However, ball bearing turbos are not cheap, and again, fitting the unit will require serious mod’s and expense. Also bear in mind your transmission, for example clutch, gearbox may well need upgrading to cope with big power. Our direct fit hybrid units offer the potential for significant power gain with minimal to zero refit issues. Usually we work within the confines of the standard unit but subject to your requirements we may use an alternative compressor cover, turbine housing etc. State of the art CNC machines enable us to accurately re-profile compressor covers and turbine housings, as well as allowing us to machine back plates and bearing housings ready for the upgrade internals. 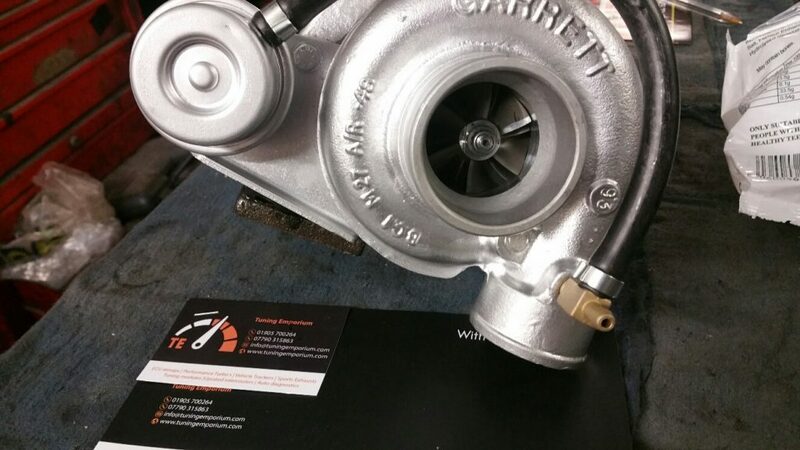 Every turbo gets stripped down, inspected, rebuilt and tested before it leaves us to ensure it is fit for purpose and meets our exacting standards.